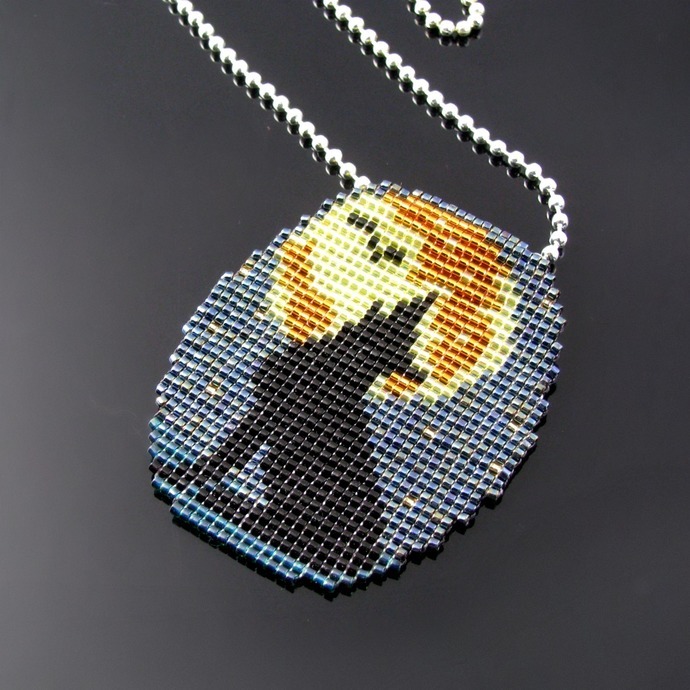 In an original design of mine, this pendant shows the silhouette of a coyote howling at the full moon in front of which a lonely bat is flying. 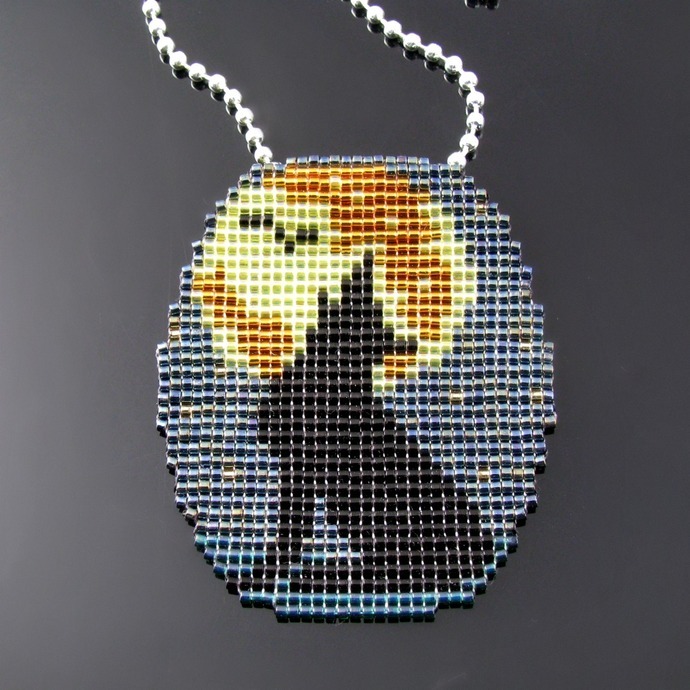 The pendant is loomed from Miyuki Delica beads and has a hidden bail in the back during which a silver tone ball chain of 60 cm or 23 1/2 inch length is running. 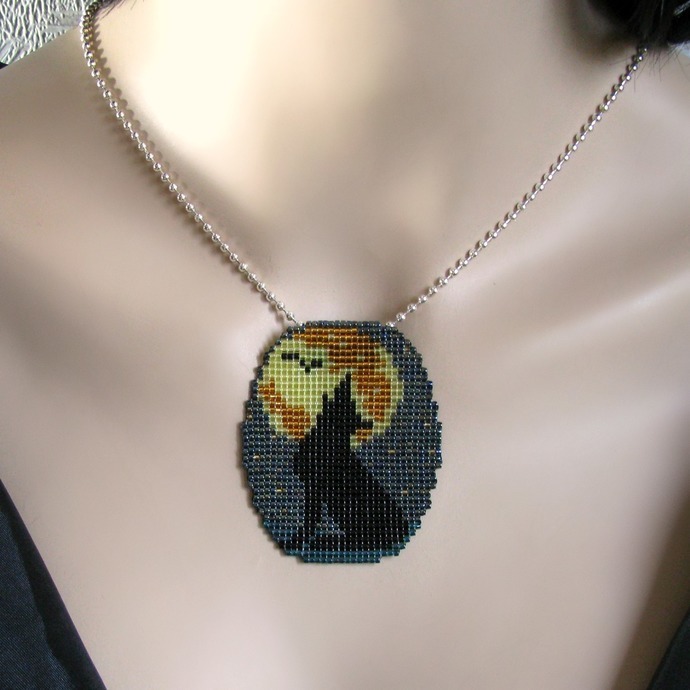 It is 6 cm or 2 1/3 inch high. 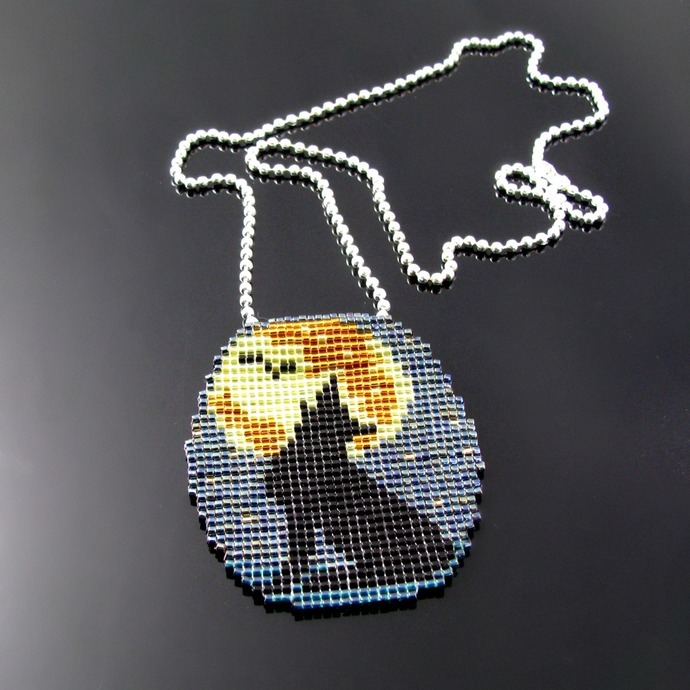 Should you like this pendant in other colors, daytime instead of nighttime for example, with the sun instead of the moon, let's talk!